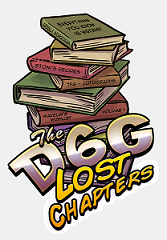 Several of the folks involved with the D6G Team have recently taken up blogging in their spare time. If you'd like to see what they're blogging about, here is a handy list of links. We had a bit of a SNAFU in Episode 42 and originally forgot to include the Space Hulk results in the show! We've corrected this issue and uploaded a corrected version of Episode 42. The new version was published late on Oct. 27th, 2009. If you downloaded episode 42 on 10/28/2009 or later, you've got the corrected version of the epsiode. If you downloaded the show on 10/27 or earlier, simply re-download the episode. The correct Episode 42 should have a running time of 3:35 minutes. The Space Hulk results are near the end of the show just after the 3 hr 6 min mark. Sorry about all that folks. Episode 42: The answer show! How do you run a figure painting business? Who won our Space Hulk prize? And just how does Warhammer Invasion work? The D6G Team has a very interesting chat with Navin of PaintedFigs.com We learn the challenges of running your own business in Sri Lanke. Later Hollywood leads us through the mechanics and gameplay of Warhammer: Invasion. Myriad Games, on behalf of friendly, professional gaming stores everywhere. Just a quick audio reminder for subscribers that Ep. 42 has been delayed a week. Oh, and there's a little teaser in here about a segment change as well. 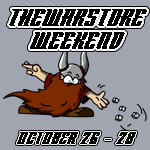 Rush 'n Crush, Rogue Trader RPG, and a Sea of Blood interview all in one show? Yep! First up the D6G team tackles the 'Speed Racer meets Formula D' board game Rush 'n Crush from Rackham and AEG to give you a detailed review from the machine guns to the mine layers and all the racing goodness in between. Later the guys get into a deep review of the new Rogue Trader book from Fantasy Flight Games. So what is so inovative about this new RPG anyway? And be sure not to miss When Wives Attack this epsiode as Nicole talks to Sally Karkula from Fantasy Flight Games. Sally is one of the folks working on the highly anticipated Descent: Sea of Blood expansion due out later this year.